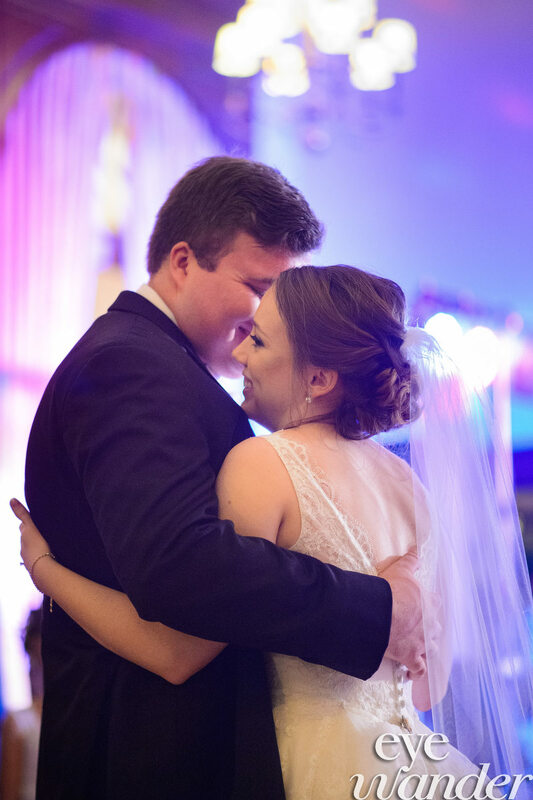 Emily and Andrew’s wedding was Verde Beauty Studio’s first wedding of 2019 in Baton Rouge. Their ceremony was held at St. George Catholic Church followed by their fun reception at The City Club of Baton Rouge. Their evening was captured beautifully by Eye Wander Photo. I had been asking Andrew to go do something fun for a few weeks and on November 4th, he took advantage of that and surprised me with a day trip to our beloved Tickfaw State Park, where we had first met years before. We packed a lunch and went for a hike. Finally, we ended the hike at the suspension bridge where we shared many laughs and memories with friends in high school. Andrew set up his camera to take a picture of us (as he does frequently so I didn't think anything of it) and proceeded to get down on one knee and ask me to marry him. 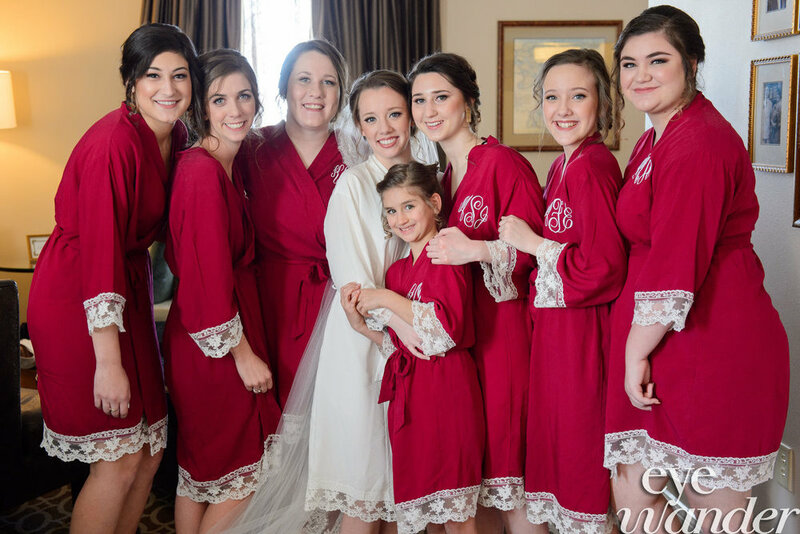 Emily and her bridesmaids prepared for the big day at the Hilton Capitol Center in Baton Rouge, while Andrew and his groomsmen got ready at The City Club of Baton Rouge. The ladies spend their day in comfortable red robes from LoveyDoveyDesignsbyus on Etsy. Tina and Ruth with Verde Beauty Studio created beautiful classic looks for all of the ladies with their elegant updos and coordinating makeup. I grew up going to school at St. George so that is why we picked St. George Church. I chose City Club for the reception because I love the character of the old building. I love that it has several rooms, instead of one large ballroom. “I wore my grandmothers wedding ring on my right hand. She passed away a few years ago but I was given her ring as a keepsake so I decided to wear it as my something old. 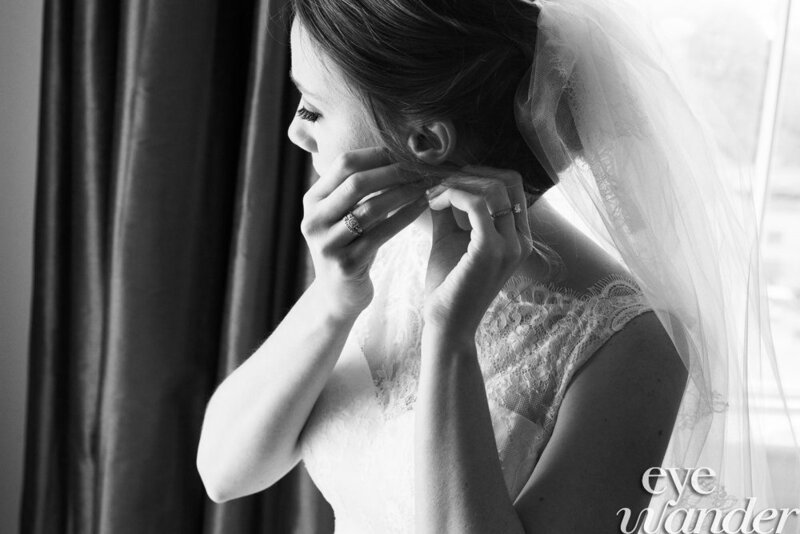 Emily wore a beautiful Justin Alexander gown with a cathedral length veil perfect for their wedding at St. George. Emily’s bridesmaids wore burgundy dresses from Bella Bridesmaids by Bill Levkoff with a high neckline and a back cut out.